Over my many years, I have seen the medical industry/business/field explode! Before my time, folks bartered with their doctors to get treatment. Today we go to a different doctor for each ailment. It can get crazy! I don’t know about you, but I’m ready to start takin back control of my own healthcare. If, I can find something i.e. CBD oil for pain–then why shouldn’t I take it?? I’m not taking opioids anymore. And I’m not paying big money to these huge pharmaceutical companies. I’ve takin back control. Are you ready to do the same? I want to empower people with some basic knowledge of things that they can do, to help ease their health issues.. Whether these are things you can try alone, or with medicine, you’re taking, is up to you. I know people that use them both ways. Often when their medications stop working like they once did, they can add these following suggestions below, and it does help them. Let me state to you, that I am NOT a doctor. Nor am I claiming to be. I am just sharing information with you, my reader, that I have learned. IF you decide to try any of the following suggestions, please mention it to your doctor first. Always do that with anything you may add to your medicines/diet/supplements/etc. Aromatherapy has become very popular. 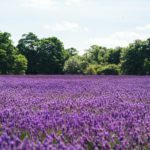 And I found that certain scents help with certain health issues, and of course, I wanted to share this information, with you. If you ever have a question, please, don’t hesitate, ask it in my comments section below, and if I can’t answer, I’ll try to find an answer for you. Oil burner (using a tea light, and scented oil, about 5-8 drops, placing and then lighting tea light inside the oil burner.) This is how I use essential oils. *But I will definitely try a few of the methods below. Essential Oil Diffuser – is good for the inhalation of the oils. Skin – applying a drop or 2 onto the top of your skin. But be careful when considering this method, cause some oils aren’t so skin friendly. Add oil to baking soda, to use as a carpet freshener. Some use it to clean their carpets, I haven’t. I’ve only used it like one would use Carpet Fresh. After adding 2-3 drops to a cup of baking soda, I let it sit overnight, to dry, before using it the next day. Bath Bombs – my daughter uses these and is always telling me how I need to try it. I know she buys hers, but you can also make your own. 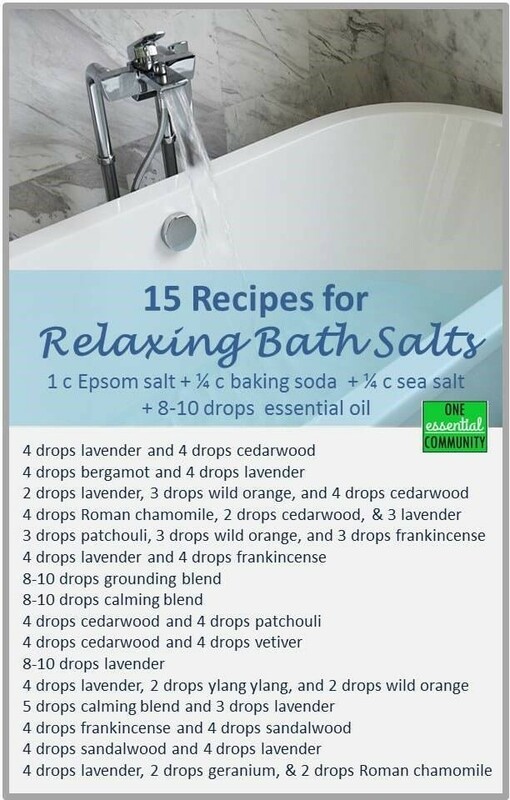 *Bath Salts, I’ve not tried this but I will be trying it. *Cotton Balls are great to use in your car, as a freshener. By placing a few drops on a cotton ball, and then putting the cotton ball in your car vent, tada– a nice smelling car! Drawer Freshener – using the oil very sparingly, cause they can be potent. Add a drop of oil to a fabric sheet, or any piece of clothing, like a cut up t-shirt, and place it in the bottom of your drawer, or in the corner of your drawer. I use a fabric sheet. Once the fragrance is gone, then I’ll use a drop of oil. Diffuse Necklace. I wouldn’t try this myself, but if you’re interested, you can actually buy a diffuser necklace, or you can make your own necklace. You can use a couple of drops for energy, anxiety, mood, or to relax. 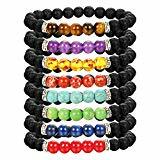 There are also bracelets to be used just like the necklace. I’ll be listing below what fragrances are good for what, so please, continue reading. *Furnace filter – 3-5 drops of the oil onto your filter, and when the heat or air turns on, it’ll get circulated through your home. I like this idea. I will be coming back and updating this article when I have personally tried any of these methods. so that you can be more informed. I’d suggest making sure it is an oil that you like, otherwise you’re going to be smelling a fragrance you may not be so hip on. *Gel diffuser, like using a gel air fresher- you’ll find how to make one, as well as recipes here!. Hands – by placing a drop of oil in your hands, rubbing them together and then cupping your hands over your mouth and nose to inhale. Inhale directly from the bottle. Honestly, I don’t know if I would do this. I have smelled oils, to see if I liked the scent, and well let’s just say that some can really have a strong scent. I’ll leave that this decision up to you. I did read, where inhaling an oil, gets faster results, from a particular fragrance. There is also an oil inhaler one you can buy and use. I’ve not tried this method either. Pet diffuser – that you can buy and hang from your dog’s collar. I wouldn’t try this one, only because I’d worry about my dog’s health. And what if he doesn’t like the scent you choose. LOL IF you give it a try, please let us know in the comments section at the bottom of this page. I’d really appreciate it. *Pillow – by placing a drop or 2 in the corner of your pillow, you can get oils that help you rest/relax/sleep and use them for a good nights sleep. This one I will have to try. I don’t always sleep that well. *Shower Steamer/Shower melts – I’ve never heard of these, but I heard it can replace the bath bomb, in case you don’t take baths. I found another recipe where you can make your own, so click here to them check out. *Toilet Paper Roll – applying a few drops on the cardboard tube inside the toilet paper roll. I’m going to give this one a try, for sure. *Washcloth steamer, for a faster alternative, put 3-5 drops on your washcloth and place it on your shower floor. Usually in the corner, out of the direct spray of the shower head. You want it to get a little wet, and it will give off the aroma and benefits of whatever essential oil your using. * indicates that I will be trying that method sometime in the future. And as I stated above, once I have tried it, I will be updating this article. So you may want to bookmark this page for such updates. As well as access to links where you can make your own, or try the recipes. And don’t forget to consult with your doctor. Always!!! Essential Oils come in many different scents/fragrances. Here I will list the scents/fragrances, and what they are known to help with. Mind you, none of these will cure anything, but may possibly lessen the severity. Also keep in mind that what works for me, may not work for you. And visa-versa. Black Pepper – has been known to reduce cravings in individuals quitting smoking. The scent of black pepper has an effect on the throat that smokers experience when smoking a cigarette. Therefore helping with those cravings. Clary Sage – is most effective for balancing one’s hormones. And can also help regulate estrogen levels. May help with circulation. A study done last year helped with fatigue, hot flashes, and moods, in perimenopausal women. Eucalyptus – is another popular oil and is known as an anti-inflammatory, that may help you with any congestion. The cooling sensation may also help with seasonal allergies. Stopping those sniffles. May even help clear up any respiratory issues when used in a diffuser. Aids in infection (a study shows, it can help clear up a lung infection in a patient that could no longer tolerate antibiotics.) It is great for sore muscles when used as a massage oil. Ginger – helps with nausea. The smell of the oil helps. But so do Ginger candy and Ginger tea. Grapefruit – a study has shown that it can reduce your appetite. Lavender – is another popular oil. It may help with inflammation in the symptoms that appear during allergy season. Studies have shown that it can also help with PMS symptoms. Reduces stress. Eases cuts and scrapes. It has helped me to calm down and relax. And is said to help with insomnia, to help with deep sleep. Also has been known to help migraines and headaches. Diffusing, lavender oil bath or a drop on the skin is suggested for above issues. Lemon – may improve your energy, or may help you be more alert. Lemon can also help with congestion and with the clearing of sinuses. It’s best to diffuse it for lifting your mood. Studies have shown those with depression that sniffed lemon/citrus fragrance, have been known to be able to lower the dosage of anti-depressants they take. It balances out your hormones. Orange – is another scent that may help with anxiety. Studies have shown adults taking a test, that sniffed an orange, experienced less anxiety if any at all. Peppermint – is known to reduce inflammation. And that can help with muscle pain. You may be able to breathe better if you use it in a diffuser, or on your skin. Could possibly help with IBS symptoms. Peppermint has also has been known to help with alertness and performance (sports). And could also help to stop tension headaches. Has been known to help with nausea, that many cancer patients suffer from, with their chemo/radiation treatments. Helpful for motion sickness. It has been warned that peppermint may cause heartburn. So, check with your doctor. 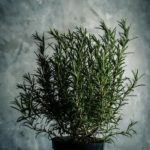 Rosemary – has been known to help improve your concentration. As well as accuracy and speed when problem-solving. It may also help with your memory. I’ve read where it helps those suffering from Alopecia (hair loss). Applying the oil directly on to the scalp may help. Massaging may also stimulate hair growth. Tea Tree Oil – may help with allergy symptoms. It is another anti-inflammatory. Clears airways. It’s also good for fighting infections. Has even helped combat MRSR and Staph in a lab experiment. Tea Tree oil has been known to help dry out acne. NOTE: I’ve read side effect warnings , that Tea Tree Oil may also trigger allergies. I’m not sure how you would find out if it would be ok for you to take. I would ask my doctor what to do. Take note, that many people make their own blends of oils, by mixing 2 or more fragrances together. Google it to find recipes, there are tons of them. Essential oils are made by many different companies. Just like with anything else, you’ll find better quality in some brands then you may in others. Essential Oils are not FDA regulated, so makers have no strict guidelines to follow when making their scented oils. Some may be stronger then others, as well as some may contain additives that aren’t good to inhale or apply on your skin. Educate yourself, as with anything, you’ll benefit from knowing more about the products that you are wanting to buy for yourself and/or your family. The internet is a great place to start. I’ll research something, learn about it, then compare it to other similar products and then when I’ve made my decision, I look for customer reviews. I won’t read customer reviews on said products, from their company’s website. Those can be faked by the company themselves. Or at least that’s how I see it. Before trying any kind of essential oil, it is best to discuss it with your doctor. As much as I complain about doctors, they have information that the salesperson may not. All the salesperson really wants to do is make the sale. There are some out there that truly appear that they want to help you. But they are few and far between–and hard to tell apart, unfortunately. I’ve done a lot of research on this, and then I would double check, and even tripled checked, and below are the results in which I’ve come up with. I will list these companies/brands in alphabetical order, so as to not show any favoritism to any one brand. IF you know of a brand that I should include on this list, by all means, let me know, below. They are one of the most renowned brands on the market. All of their oils are 100% pure. Their rare oils are more expensive then the essential oils they carry. They have been in business since the 1980s. You can choose from their large selection of oils. Assures you that their oils are 100% pure. It is one of the most popular high-quality brand oils. Having 50 oils in which to choose from. Their wide variety of oils have gone through a great deal of testing. Besides their large selection of oils and blends Edens Garden also carries a lot of kits. Such as ‘OK for Kids’ sets, roll- on sets and travel kits. Bottles of oil come in several sizes, up to 100 ml. Their oils are organic. And some are even USDA certified. They’ve also won some awards for their oils. They offer a wide variety of oils and blends. In addition, they also offer Mountain Rose teas, spices, herbs, bath & body products, and more. They have DIY supplies too. Are high quality, undiluted oils. They aren’t quite as potent as say as do TERRA or Young Living are, Yet they are still a pretty high-quality oil. Some of their products are USDA certified, but not all of them. They have a wide variety of oils, as well as roll-ons. And ‘KidSafe’ products. As well as their essential oils, they also carry a wide selection of skincare products. They pride themselves on their ‘exceptional’ customer reviews’. And they also have a wholesale program for businesses. Offer products that are 100% pure and have undergone testing for quality assurance. They have a 90-day customer guarantee. They have a Loyalty Rewards program, where points are earned for future purchases. They are the highest quality oils around. Their oils go through an extreme purity testing process. Oils are distilled here in the United States. Have been in business longer than most other companies. And offering 100 oils, and as many blends. If you have tried any of the above oils and it has helped you, we all would love to your experiences using it. Or if you have tried any other essential oils I have not listed, please let me know the name of the oil, what you took it for, how it has helped you and include how it is you used that oil. I would love to add your comment to my list. I would appreciate it as well as our readers. Just drop your experience, suggestion, or question in the comment section below. I answer site comments, usually a couple of times a day, I will get back to you! We have recently begun using Essential Oils. We have a diffuser and enjoy lavender in the evening helping us relax and get ready for bed. I used to never use Essential Oils because the smells made me get such a headache. Apparently I “grew” out of that and now can tolerate and even enjoy several of the scents. I wouldn’t try the application of a scent to a lightbulb, either! Seems like that could be a dangerous practice! Besides, the diffuser makes such a pleasant, even smell! The relaxing bath salts are amazing. We create our own and have even tried to make some of our own bath bombs! We also use a drop of lavender on my granddaughters pillow to help her sleep at night. There are a lot of really interesting ideas and I may try a few of them! Thanks for sharing! We actually began using the oils this past summer for the purpose of lice prevention. Lice was going around school in the spring and we wanted to make sure we didn’t have to deal with it at home. It has worked wonders and we have given out several bottles of our lice preventions spray because we want everyone to know this stuff is working! We use the Young Living Essential Oils because we found them to be the best for our needs. They are also the purest we have found. Thank you for sharing you ideas! We are going to try a few of them! Oh wow Karin, I could’ve used that lice prevention years ago when our girls were in school. I just may have to do an article, where readers can send in their tips and recipes. That is just too cool. The elementary school here, every new year they get kids showing up with Lice. I remember it even spread to Girls Inc, where our middle daughter brought it home and shared with us all. 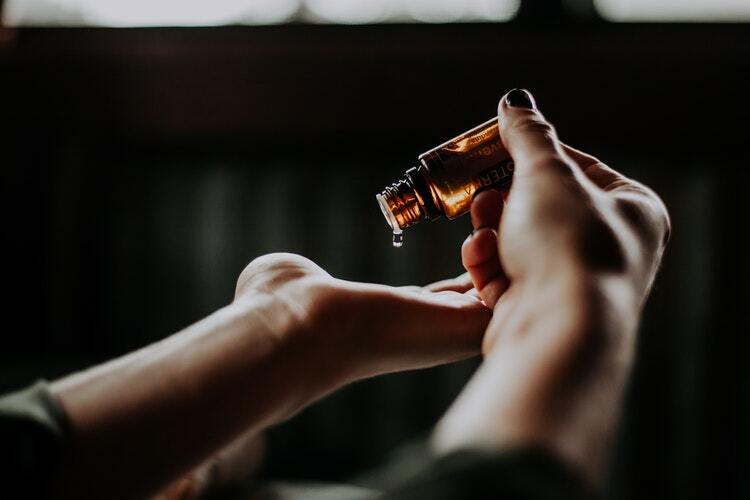 I learned a lot about Essential Oils by writing this article. I will be doing more research into it. Especially the recipes. I’m planning on trying the DIY essential oils tricks. Salts, bomb, and melts, specifically. Glad you liked that info as well. I’m always willing to share. I came across your website as a member of Wealthy Affiliate. You have spent considerable time writing this post and explaining everything. I am 55 now and have never used any form of aromatherapy ever in my life. As my body demands more love and care, it is something that I should start to consider. I am a very healthy person generally, but have suffered from lower back pain most of my life. What would you recommend to sooth those aching joints? Is there a ‘best’ way to use? Is the oil burner more effective for example that skin drops? Would love to know the best ways! I so understand needing more TLC–I turned 57 in August. Could you go for a message? Or maybe someone can give you one, have them use eucalyptus oil. I heard it really helps when used that way. As for which ways to use oils? I think it’s all to preference. Some to what oil it is you’re using and for what. I prefer burning the oil in an oil burner myself. But after writing this article, I will be trying a few new ways. AND I’ll be updating after trying those other methods to share with everyone!! So, be sure to bookmark this page and come back soon, Tim! I have always been interested in essential oils but need to learn more about them. I know I prefer the citrus oils and the evergreen scents like pine, cedar and spruce. I learned recently that in the Indian Ayurvedic tradition some oils are considered heating and some cooling. I need cooling since I have inflammation and actually use ice packs all the time. I have one on my ankle right now as I write this! I found a blend of the cooling oils recently and I LOVE the smell. It includes rose which I always liked! It is nice that the scents that I like are good for me! I need to see how the citrus and evergreen scents fit into this puzzle. it is interesting how many uses there are for these oils. There is definitely a lot to learn. You have covered some really innovative ways to use oils here that I never would have thought of! Some of these are so easy, there is no reason everyone shouldn’t give them a try whether for relaxation, making your house smell good or for health reasons. I agree with your about why aren’t more people trying these. I think a lot of it is we’re programmed to go see a doctor for every little thing. I’ve learned A LOT just researching so I could write this. I could’ve went on and on, but I didn’t want a novel, LOL There’s still so much more for me to learn.